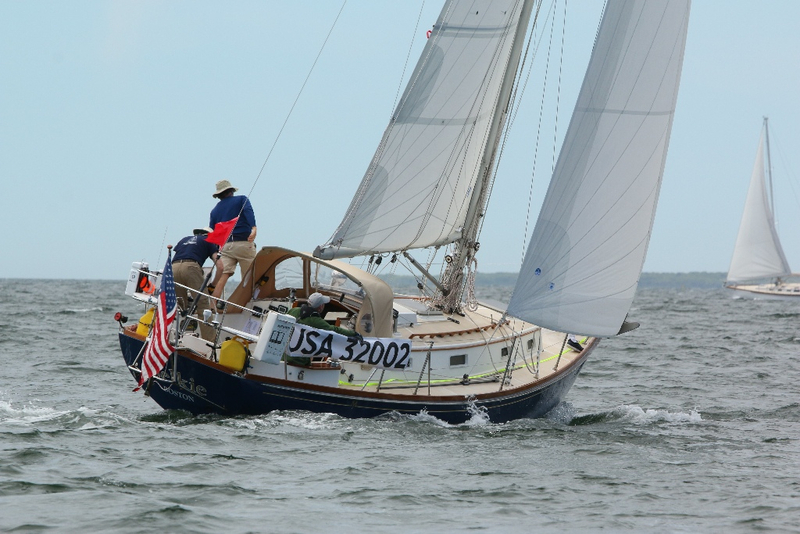 RHADC Bermuda - June 15, 2017 By Talbot Wilson: Selkie, Chip Bradish’s 1988 Morris Ocean 32.5 footer from Jamaica Plain near Boston, was the overall corrected time winner of Class D and the entire 40th Anniversary Marion Bermuda Race. She was the smallest boat in the race and was sailed using only celestial navigation. The race started June 9th in Marion MA. ‘Selkie’ finished June 15th at 51 minutes after midnight. Her provisional elapsed time was 131 hours 40 minutes and 30 seconds. Her corrected time under ORR handicap scoring was 90 hours 44 minutes and 08 seconds. ‘Selkie’ was the third to last boat to finish on elapsed time and first on corrected time. Brandish said that was because “We were the smallest boat and we also got the celestial correction.” The celestial correction is a time 3% credit on her ORR rating. Brandish has done the race before. This was the first ocean race, the first time offshore for ‘Selkie’.